His art was able to leap tall buildings in a single bound. 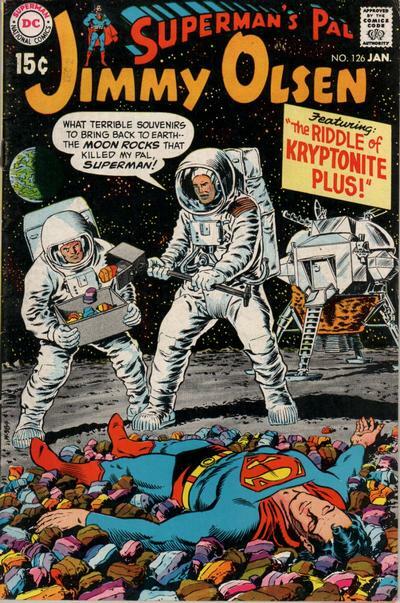 Curt Swan was my first favorite comic-book artist. And I didn’t even know his name. 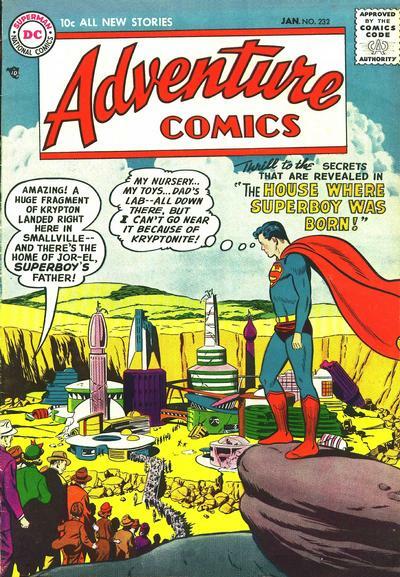 Nor did any of us reading Superman comics back in the early 1960s, the early Silver Age, when DC Comics never gave published credit to any of the artists who drew the Man of Tomorrow’s adventures. At least we knew that Batman was (ostensibly) drawn by Bob Kane, because we saw that flamboyant signature with the big “O” on the bottom of the splash page of every Caped Crusader story, new or old. Or we thought we knew it was Kane—it was, of course, a series of ghost artists. Over at Marvel Comics, you knew who was writing, penciling, inking and lettering their comics, because editor/writer Stan Lee had been giving credits since they started doing their superhero books in the early ’60s. At DC, editor Julius Schwartz gave credits sporadically in his books, so we knew the names of star artists like Carmine Infantino, Gil Kane, Murphy Anderson and Joe Kubert (whom we also knew from his war books). 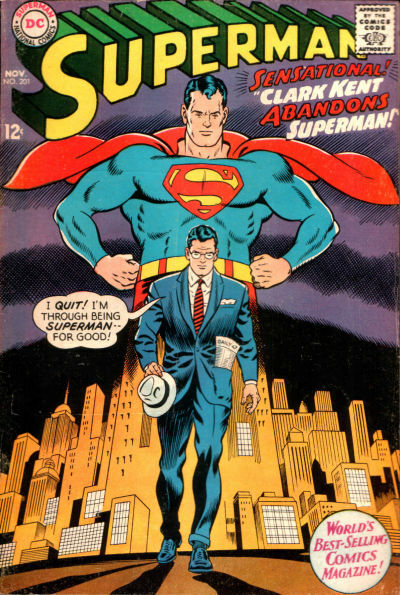 But Superman group editor and major-domo of DC, Mort Weisinger was the last holdout; it wasn’t until a 1966 letters column that the name of the Superman artist we all thought of as the “Good Superman Artist” was revealed to be… Curt Swan! “Curt Swan”? Superman was drawn by a guy with “Swan” for a last name? A swan, with that long, feminine neck? A swan has nothing to do with Superman, or superheroes, at all! And yet, the more it sunk in over the years, the more I came to realize that what Swan meant to me, and an entire generation, was actually reflected in his name. From Arlen’s contribution to Eddy Zeno’s 2002 biography: “Curt Swan: A Life in Comics.” Used with Schumer’s permission. For Swan’s style—seen in a staggering 19,000 comic pages and covers spanning a more-than 30-year career—mirrored that of a swan itself, graceful and dignified, yet strong and resolute, with an air of solemnity, even sadness. You can see that swan-like grace in the artist’s covers most of all, as so many of those memorable images featured figures in frozen tableaux, like comic-book versions of those three-dimensional dioramas in museums of natural history, more than, say, the more action-oriented covers of Jack Kirby at rival Marvel. My favorite of his covers are among the 13 selected here. But having to choose only 13 great Swan covers, out of the almost 1,000 he did, was a superhuman task! 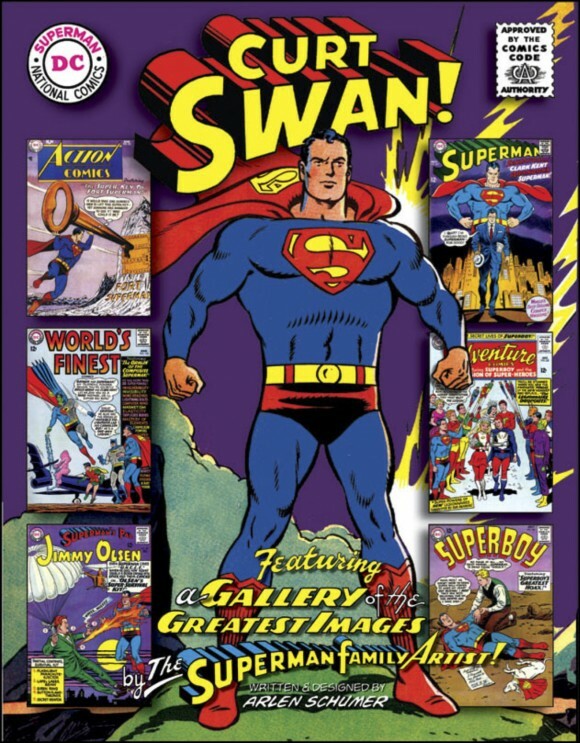 The covers I ended up with span Swan’s career, culled from (almost) all the Superman Family titles Swan worked on, and inked by his three greatest inkers: Stan Kaye (the 1950s), George Klein (the ‘60s) and Murphy Anderson (the ‘70s). 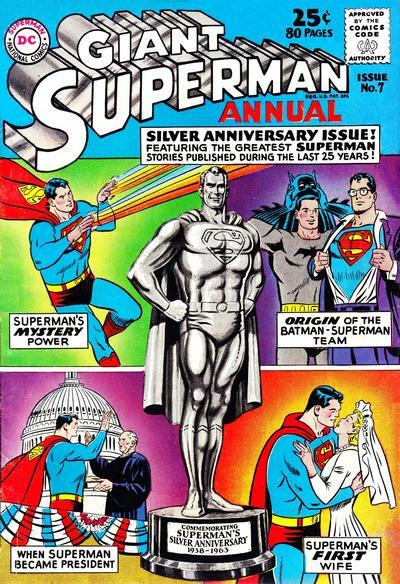 So happy birthday, Curt Swan! Your spirit lives on in these fantastic covers, and the other 18,987 comic-book pages and covers you drew! 1. Adventure #232 (Jan. 1957): The first of three covers on this list inked by Stan Kaye, Swan’s primary inker from the mid-‘50s, when Swan begins to draw for the Superman line of titles, until 1961, when Swan’s ’60s inker, George Klein, takes over. Kaye’s ink line was a little softer, wispier than Klein’s bolder, thick-thin brushstrokes. 2. Action # 234 (Nov. 1957): Comic books have always been ahead of American culture; Hollywood is just getting around to making serious films about characters created 50-75 years ago. One of them, Marvel Comics’ Dr. Strange, was created by Spider-Man artist Steve Ditko, who dreamed up utterly unique, other-dimensional worlds for Strange to sojourn. DC had its own brand of dimestore psychedelia in the Silver Age, as evidenced by this absurdist Swan/Kaye cover. 3. 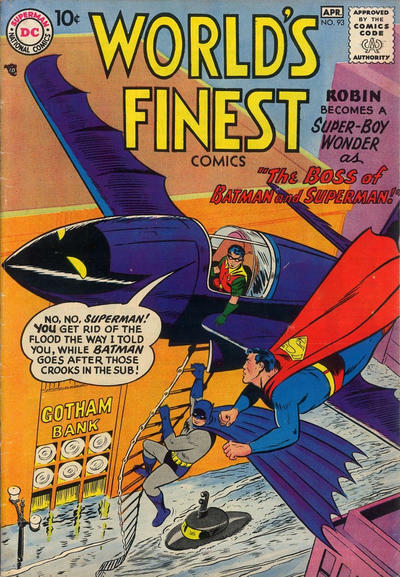 World’s Finest #93 (Apr. 1958): In the same way Swan made you believe in a sentient skyscraper, here you feel the size and heft of the Batplane hovering above the flooded concrete canyons of Gotham City (love the purple buildings!) as Swan plays with his three costumed protagonists’ multiple perspectives, on multiple levels, making your eye follow Batman right down the Batplane’s rope ladder. 4. 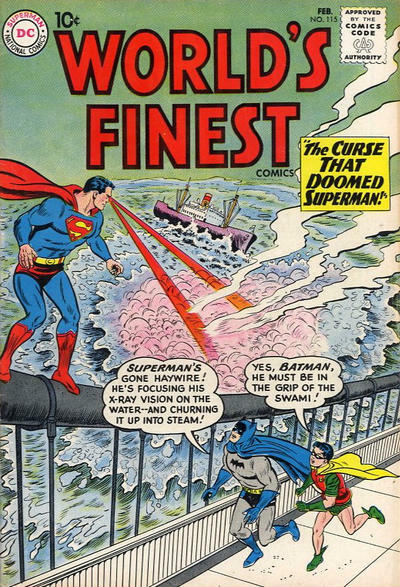 World’s Finest #115 (Jan. ’61): Though Swan would later draw the interior stories for this team-up title from 1964-68, years before that he drew a few years’ worth of covers as beautiful as this one. Once again, he displays his ability to suggest a wide expanse within the tiny confines of a comic book cover. Swan never shrinked from drawing the difficult things—like giant bodies of water, always tricky to render in black line. But here, as elsewhere on this list, DC’s gorgeous old-school Ben Day-dot coloring aides and abets Swan’s linework (inked here by Sheldon Moldoff). 5. 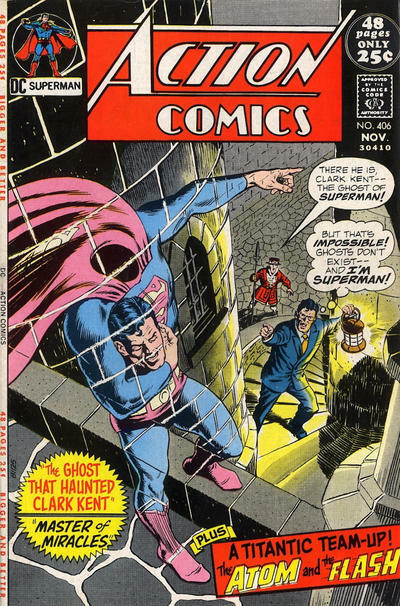 Superman #150 (Jan. ’62): The first Swan Superman cover inked by the great George Klein, who would become Swan’s regular inker until ’68, when he was let go by DC (along with a bunch of his longtime peers who asked for benefits). I love this cover as yet another example of delirious DC Dada that Swan renders realistically with his masterful powers of perspective. 6. Giant Superman Annual #7 (Summer ’63): Not only is this cover the hands-down greatest of all the multiple-panel Superman Annual covers that Swan drew in the ’60s—it features perhaps the greatest single Superman figure ever rendered. Head of DC coloring Jack Adler did the hand-painted gray wash tones over it, while Klein inked the four background panels. It’s the first comic-book cover I can recall ever seeing, when I was 5 years old, in summer camp that year. What an image to come into the wonderful world of comics by! 7. Adventure #353 (Feb. ’67): And this was the first comic book story that prompted me, at 8 1/2 years old, to write my first letter to an editor at DC Comics, to protest their killing off my absolute favorite member of the Legion of Superheroes, DC’s answer to Marvel’s Iron Man: Ferro Lad! And Swan drew him so cool, too! Swan/Klein had been drawing the LoSH since early ’66, and this issue, with this great cover, was the high point of their run. 8. 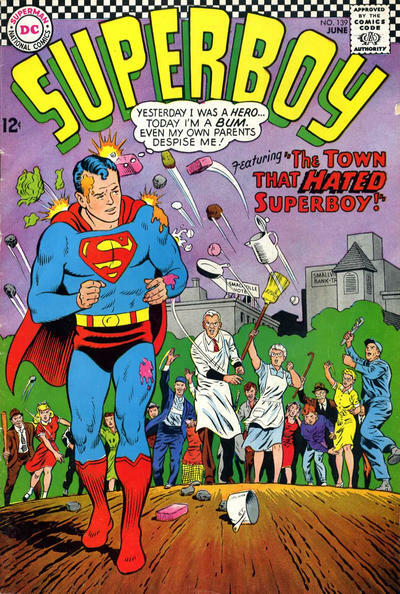 Superboy #139 (June ’67): Everyone thinks of Swan first and foremost as the definitive Superman artist—but they often overlook the quantity and quality of his Superboy work (17 years’ worth of stories and more than 200 covers). He was the definitive artist of that character, too. Nowhere was the unmistakable Rockwellian appeal of Swan’s art more evident than in his Superboy run. All the more startling, then, when that all-American attitude turns upside-down, as on this cover — the hero rejected by the very people he’s sworn to protect. 9. 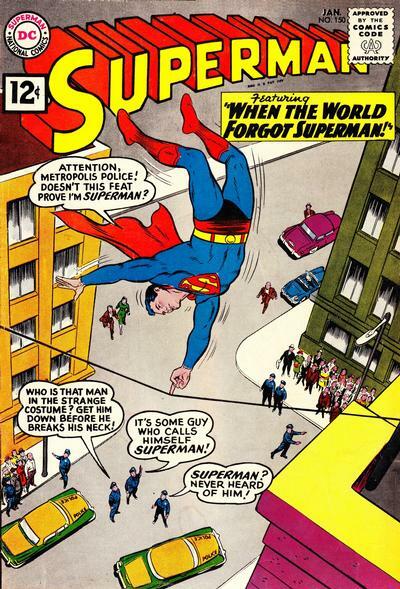 Superman #201 (Nov. ’67): Along with the ’63 Superman Annual cover, this is my favorite Swan Superman cover. It’s got everything that made Swan great in a single image: a classically centered, symmetrical composition featuring a monumental Superman figure in the iconic fists-at-the-waist pose, looming over a stylized cityscape that looks like a stage backdrop, from which a confident Clark Kent walks tall. (Like George Reeves’ portrayal in the Superman TV series, Swan’s Kent was no pushover.) This issue appeared four months after Spider-Man #50, with John Romita’s equally classic cover of Peter Parker walking away from his Spider-Man persona, so there is an outside chance that editor Weisinger might’ve knocked it off; it wouldn’t be the first time! 10. 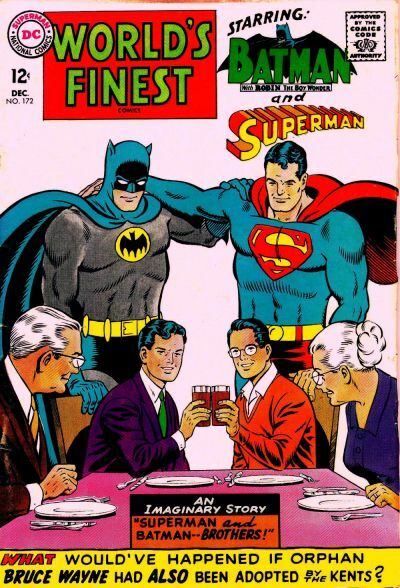 World’s Finest #172 (Dec. ’67): While I’m not crazy about this cover’s bland white background, all those logos crowding the top, and the surprisingly sloppy lettering (for a DC cover) at the bottom, they’re offset by this being Swan’s most overtly Rockwellian cover, reminiscent of the famous painting of the family gathered around the Thanksgiving table. It’s another strong, symmetrical Swan composition, and the last of the great Swan/Klein covers of the ’60s. 11. Jimmy Olsen #126 (Jan. ’70): Like Superboy, Jimmy Olsen was another member of the Superman Family line that Swan spent almost as much time on as Superman. This cover’s date kicks off the ’70s, while figuratively debuting the artistic identity responsible for Swan’s greatest ’70s works: “Swanderson,” his teaming up with legendary DC Silver Age inker (and penciller) Murphy Anderson, who lent his strong, feathered brushstrokes and detailed rendering to Swan’s pencils, giving them a graphic gravitas they never had before. The three Swanderson covers selected here also show off Swan’s ability to set a convincing scene in any environment, be it urban modern, Medieval gothic, or lunar landscape. 12. Action #406 (Nov. ’71): This cover utilizes all the elements of comic-book art—penciling, inking and coloring—at their virtuosic zenith to bring Swan’s complicated composition of multiple, spiraling levels of physical and spiritual dimension to life. 13. Action #583 (Sept. ’86): How fitting is it that Swanderson’s greatest cover is also Swan’s own swan song on the character he had been drawing for more than 30 years? After the two-part story that began here and concluded in the same month’s Superman #423, Swan was removed from his steady Superman art duties and replaced by John Byrne, who was brought in to “modernize” the Man of Steel. 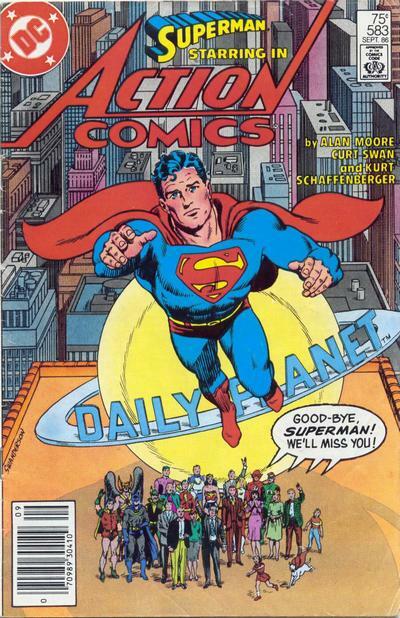 It was the end of the Curt Swan Superman Era. Some say Superman’s never been the same—or as good—since. On a personal note, I’m proud to say that not only did I get to meet Swan for the first time at a meeting of the Connecticut chapter of the National Cartoonists Society in 1992—four years before his death—and tell him that he was my first favorite comic-book artist, but I was also able to deliver a slide-show eulogy at a memorial gathering of the same organization after he passed away. Swan’s ex-wife and three adult children were there, and they all came up to me afterward with tears in their eyes, thanking me. Cover images from the Grand Comics Database. Thanx for this great opportunity to wax poetic on Curt Swan, Dan! Thanks so much! It was a flash down my comic reading life back in the 50’s and 60’s . Mike Schau, did I “miss” any of YOUR fave covers? Whoa wait you are THE Arlen Schumer who did the Silver Age comics art book! Love it. I have made displays in my college library using it. I would like to do that and it might be possible with all the interest these days due to the superhero movies. We did one using local published experts a few years ago at my college, Seminole State here in Florida, but ugh was dry and lifeless. Another campus is doing one on Batman vs Superman in a few weeks. No one asked me, the college expert, hmmph! Besides it (bat vs supes) is so phony. Hasn’t anyone read Worlds Finest??? He never did a bad cover. Sure he was the epitome of the stiff, realistic DC style but they worked; they made we want to pluck down my 10 or 12 cents for them. Now with such raw violence and over exaggeration in current covers, these leave me with sweet nostalgia for such nice fun comics. There’s nothing esthetically wrong with the final cover except that it housed the single-most repellent and repugnant pre-CRISIS Superman story ever published–and the fact that it was Curt’s last as the main SUPERMAN artist just makes it worse. The fact that they’ve reprinted that hideous story as often as they have is rubbing salt in a gaping wound. Mike, what about the story do you hate so much? 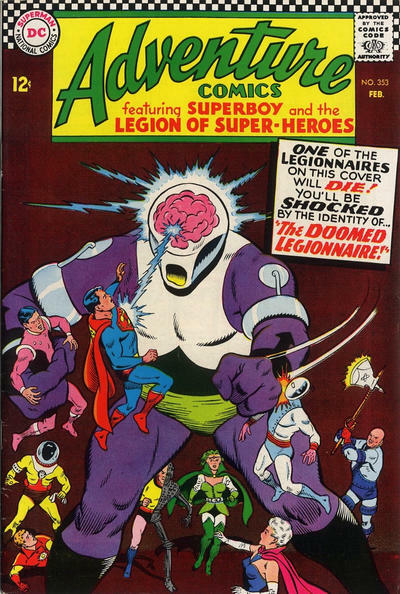 Curt Swan is still my favorite Superman artist and he worked on a lot of my favorite DC issues like the Jim Shooter scripted Legion stories in Adventure Comics! This was a great page, I remember reading so many of these when I was a kid. Thanks for the trip down memory lane. I didn’t want to leave a comment, because there were 13 comments about the 13 covers, but I went ahead and wrote this because I knew that someone would post anyway. First, thanks you so much for this great article and all your great work !! 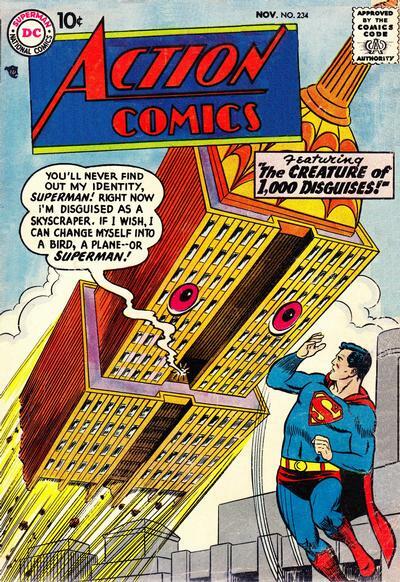 Do you know if anyone has compiled a list of all Curt Swan comic issues? I have many of the comics he drew, but am now thinking I may take a run at collecting them all. I find myself often at conventions trying to figure out what issues he drew vs. what I already own. I’d love to load the list onto my smartphone, even better in the form of a table or spreadsheet so I can track what I already have.